Just walk this way to "leave." Thanks, Amy. 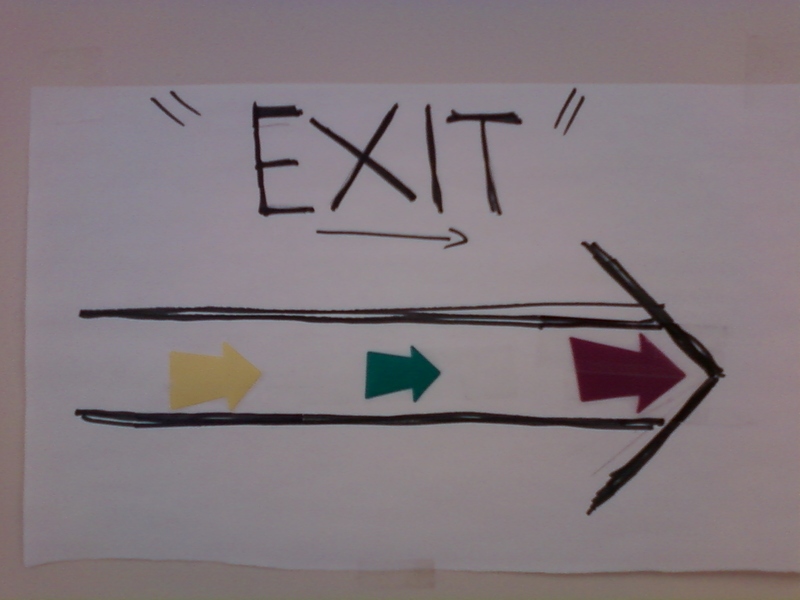 The last EXIT you will ever take! You can't exit one place without entering another. A sign from Jean-Paul "Sartre."